Written by Ewa Vaughan, 39, 50 Crescent Ave., New Britain, was charged on Dec. 20 with sixth-degree larceny. Richalees Marie Vergera, 19, 102 Grove St., New Britain, was charged on Dec. 19 with second-degree failure to appear. Eric Thomas Hedglin, 35, 2600 Goose Lake Court, Fort Worth, Texas, as charged on Dec. 26, with disorderly conduct. Kayla Marie Wormstedt-Roche, 22, 27 Woolam Road, East Windsor, was charged on Dec. 26 with sixth-degree larceny and conspiracy to commit sixth-degree larceny. Jessica N. Lara, 34, 226 Broad St., Wethersfield, was charged on Dec. 25 with disorderly conduct. Christie Eileem Ekstrom, 33, 47 Cottonwood Road, Newington, was charged on Dec. 25 with second-degree failure to appear. Elynn M. Artkop, 45, 318 Sprint St., Wallingford, was charged on Dec. 23 with sixth-degree larceny and conspiracy to commit sixth-degree larceny. Jamie Lee Artkop, 24, 82 North Airline Road, Wallingford, sixth-degree larceny and conspiracy to commit sixth-degree larceny. Daniel J. Hall, 45, 77 Grant St., Hartford, was charged on Dec. 23 with sixth-degree larceny. Alexis O. Padilla, 26, 92 Hart St., New Britain, was charged on Dec. 23 with illegal operation of motor vehicle under suspension, illegal operation of motor vehicle under the influence of alcohol/drugs and improper use of high beam light. Jose Medina, 50, 21 Bunker Hill, New Britain, was charged on Dec. 22 with illegal operation of motor vehicle under the influence of alcohol/drugs, failure to obey a stop sign and operating a motor vehicle without a license. Patricia C. Biddle, 39, 30 Cross Drive, East Hartford, was charged on Dec. 21 with sixth-degree larceny an conspiracy to commit sixth-degree larceny. Amy Duchesne, 38, 41 Packard St., Manchester, was charged on Dec. 21 with conspiracy to commit sixth-degree larceny. Melissa Ann Desrosiers, 26, 66 Imperial Drive, Apt. P, Manchester, was charged on Dec. 21 with conspiracy to commit sixth-degree larceny. Luis G. Leon, 27, 209 Green Manor Drive, East Hartford, was charged on Dec. 21 with sixth-degree larceny and conspiracy to commit sixth-degree larceny. Stephen Joseph Manke, 27, 437 Churchill Drive, Newington, was charged on Dec. 21 with sixth-degree larceny. Jalyssa S. Brown, 29, 33 Connecticut, New Britain, was charged on Dec. 20 with sixth-degree larceny. Robert P. Pelletier, 46, 274 Richard St., Apt. 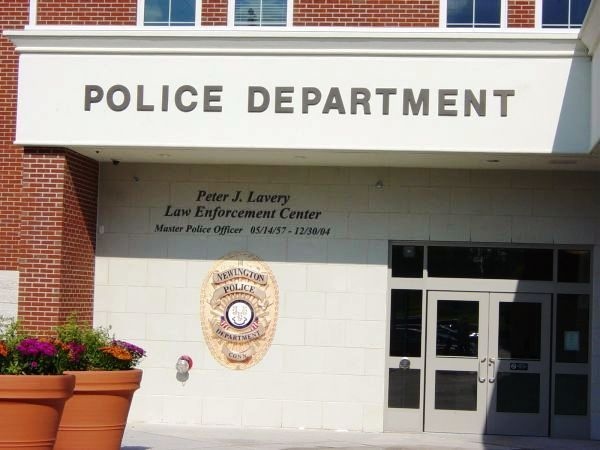 3, Newington, was charged on Dec. 31 with disorderly conduct and second-degree threatening. Francisco Javier Mena, 26, 453 Albany Ave., Apt. B2, Hartford, was charged on Dec. 29 with fifth-degree larceny and conspiracy to commit fifth-degree larceny. Mariana M. Serrano, 30, 365 Garden St., Apt. 4, Hartford, was charged on Dec. 29 with fifth-degree larceny and conspiracy to commit fifth-degree larceny. Tatiana R. Serrano, 32, 453 Albany Ave., Apt. B2, Hartford, was charged on Dec. 29 with fifth-degree larceny and conspiracy to commit fifth-degree larceny. Julio L. Vazquez, 31, 175 Collin St., Apt. A1, Hartland, was charged on Dec. 29 with fifth-degree larceny and conspiracy to commit fifth-degree larceny. Felicia Smith, 36, 7 Wheeler Drive, Enfield, was charged on Dec. 28 with second-degree failure to appear.